Welcome to the first week of 2018! Now is the time for setting goals and creating intentions for the new year. For 2016 I posted about setting principles, and for 2017 I wrote about creating a mantra. For 2018 I've been reflecting on where I would most like to grow and how to articulate how I'd like to develop so I can take actions to drive these changes. Instead of the usual "work out more" or "read more books," I've realized that my goals are harder to measure and the normal SMART goals approach isn't going to cut it. If you're finding that you'd like to improve in qualitative rather than quantitative ways, here is how you can verbalize your goals and create a plan to start out the new year in a strong way. 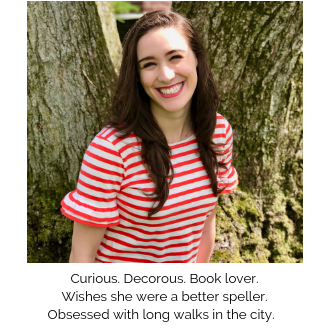 My favorite form of self reflection is journaling (here's why it's essential and how to start journaling). Whether you love to journal too, or take extra long showers to think, or have your best ideas while on a long run, take the time to honestly reflect on the past year and how you would like to develop further in 2018. Here are some questions you can ask yourself to spark some ideas. When was I most proud of myself this past year? What is a moment I wish I could relive so I could respond in a different way? When did I feel most excited and alive? When did I feel most frustrated and stuck? As you can see, by reflecting on your current strengths and weaknesses, you'll be able to see where you can get even better and where you need to focus your efforts. You could also talk to those who are closest to you and ask their advice. On a walk with my mother I brought up the topic of self improvement and her first remark was, "This is going to turn into a blog post, isn't it?" Well, yes, yes it is. To me, this is the hardest part. When I say "verbalize," I don't mean that you have to run around shouting it from the mountain tops (although you can if you need accountability), but just to have it clear in your own mind. For example, imagine that you (read: me) want to get better at speaking up for yourself. You always find yourself being the good listener and acting like things aren't a big deal and don't matter to you and accommodating others regardless of what you actually want. Instead of focusing on how you are holding yourself back, use positive, proactive language. In 2018 I will value my needs and feelings, and act in my best interest even when it is challenging or at odds with others. Since qualitative goals are tough to measure, try envisioning what it would look like to act in accordance with the positive statement you created. I see myself telling friends when they do something that bothers me. I see myself not taking on more than my share of work with a smile and not a single word. I will speak up for myself and realize that if I'm not going to say anything, no one else is going to do it for me. You can play out specific scenarios in your mind or decide that you will respond in accordance with your goal. It will take practice to recognize when you're in a situation that requires more mindfulness and taking action, but you will be able to cultivate awareness and make modifications that will continue to serve you in the long term. Since it is not easy to measure such goals, thinking back to your positive statement and evaluating if you've been living it out will keep you on track. Periodic evaluations (every month, every week, every day...) are essential to continue your improvement. 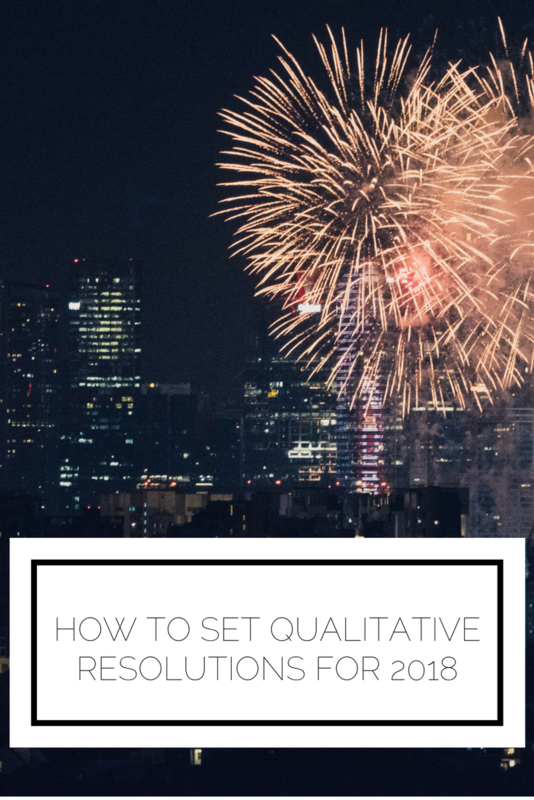 What qualitative resolutions are you setting for 2018? How do you continue to improve when you can't easily measure yourself?